Whether it’s a simplistic, black line floating above the eyelid or a deconstructed sweep of black kohl, eyeliner has been reinvented this season with new shapes and colours to suit the most avant garde of tastes. Here, MAC Senior Global Makeup Artist, Vimi Joshi shares her tips and tricks for creating some of her favourite alternative liner looks which she and the MAC Cosmetics teams innovated backstage at the Spring/Summer 2015 shows. This liner was one of the coolest liners for SS15. The rounded rectangular shape was designed to create the illusion of an elongated eye. The teal colour was custom blended using MAC Acrylic Paints and the designer was very specific on the colour. A mixture of Hi Def Cyan, Landscape Green, Black and Primary Yellow were mixed to scientific precision. The eyes were painted on using the Small Shader Brush #231 to ensure perfect placement on the eyes. 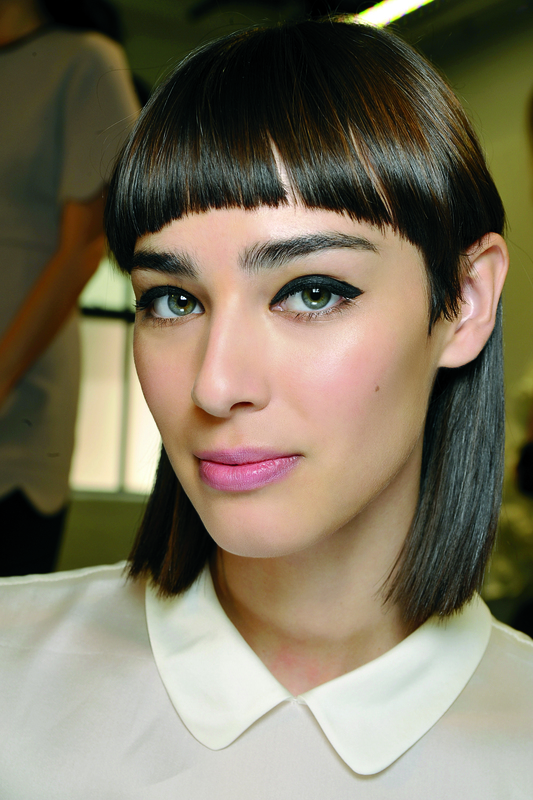 Kitten eye liner is defining the new chic liner for SS15. Worn slightly thicker on the upper lash line and then flicked just a little higher than your own lashes, this liner is giving this make up a modern 50’s feel. Easy to create in minutes by simply using Brush #210 and Fluid Line in Black Track, draw a thick line over the upper lash line and extend slightly to create an elongated effect. Apply MAC Small Eyeshadow in Carbon over the liner for a rich velvet matte effect. 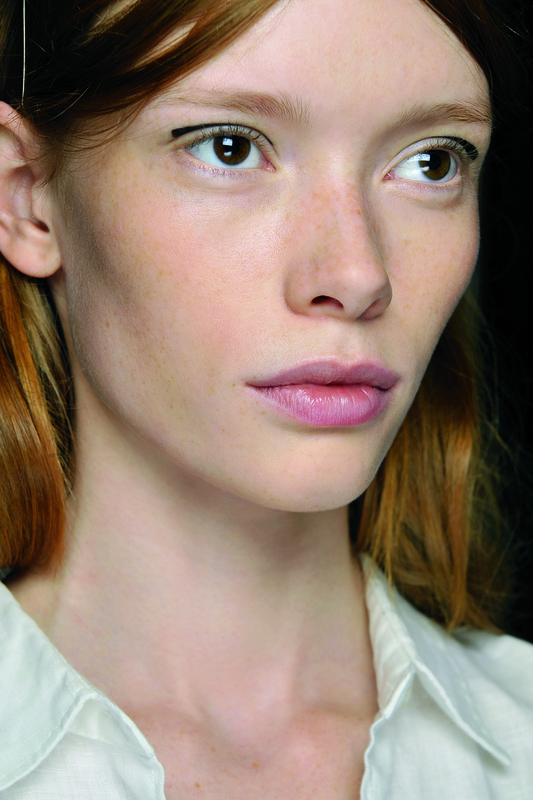 Finish off the look with a couple of layers of Haute and Naughty Mascara. 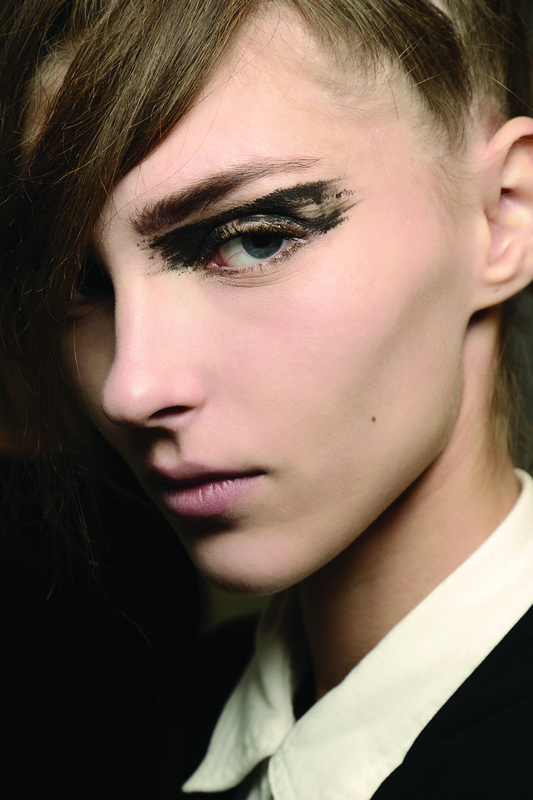 Floating eye liner seems to be making a beauty statement on the catwalks of SS15. This looks amazing on the runway and it has been created in different colours with different textures to add a cooler edge. At Giamba the floating liner was created just above the crease and we had to keep in the inner corner thin and sharp and the outer corner thicker and more squared. This was done by using Fluid Line in Black Track and the Angled Brush #266. Liner gets artistic and graphic at this show and we had to create the look in horizontal sweeping strokes which were organic. The idea was to allow the negative spaces to show through as well. The mascara Fan Brush #205 was loaded with Boot Black Liner and then drawn across the eyes. This look is more conceptual than real and we had the most fun creating this look. Would you try any of these? Which is your favourite?